How do you view the challenges or dramas that present themselves in your life? Do you find yourself in a slump, feeling miserable, asking ‘why me’ and radiating all of that to those around you? Of course your initial reaction to a situation that requires some hard work and emotional strength, may have you questioning your fortitude and ability to get through it, but remaining in that negative funk will not be of any benefit to you or those close to you. We have all heard the words ‘everything happens for a reason’, and while that may appear to be a platitude, there certainly is truth in it. Each one of us came to be with a soul contract. That contract has us experiencing events that will assist our growth. Whether we like it or not now, this is what our souls agreed to. Rather than spending your precious life feeling down about your life experiences, try viewing your challenges from a positive aspect. Consider why you are being challenged, and consider the possible benefits of your experiences. 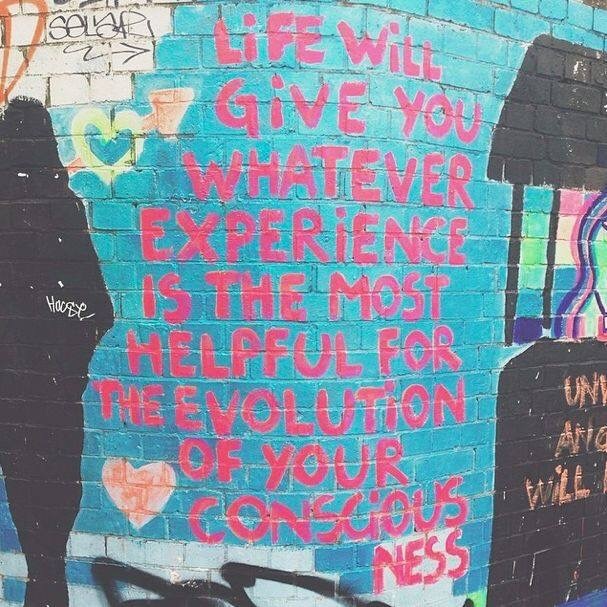 How do you think you can use what your experiences have taught you? Perhaps you will meet someone who is up against a challenge similar to what you have already had some involvement with, and you’ll find yourself as a mentor. Perhaps your exposure to a comparable event will have you as a role model of success. Think back on an event or circumstance that dropped you into a spin. You have addressed the situation, confronted the challenge with a positive attitude and exited at the other end. Now look back and see how far you have come. Recognise the key strengths you have developed and you’ll be surprised at how amazing you are. That there, is evidence of your greatness. You have done it before, you can do it again! So next time you are met with a challenging situation, stop and recognise it for exactly what it is.